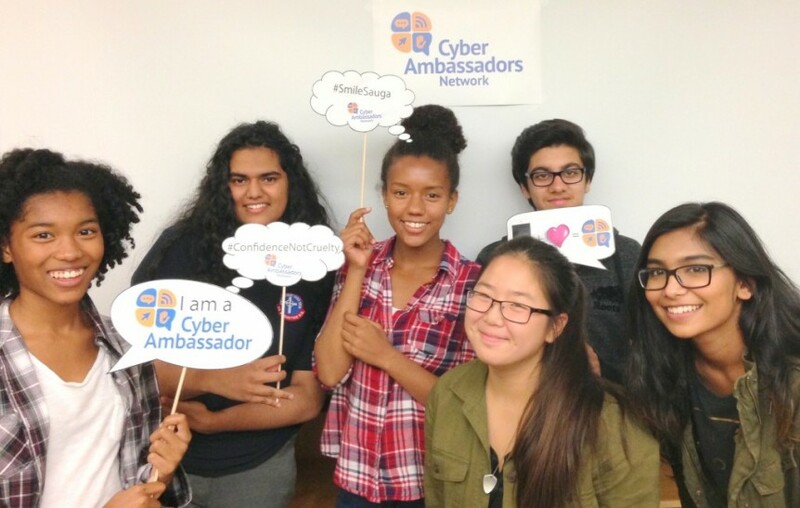 MISSISSAUGA, ON – Safe City Mississauga’s Cyber Ambassadors project has launched its brand new website www.cyberambassadors.ca. Designed as an interactive resource-based social community, the new website provides Mississauga youth with a safe place to go on the web where they can escape from online bullying and harassment, and engage with a community where positivity is spread. The site is set up to include a message board where youth can create new discussion topics about books, movies, TV shows, music, and more. Youth can also contribute pieces of writing to the blog, and can also submit questions and seek advice in our Q & A section. In March 2014, Safe City Mississauga received two-year funding through the Status of Women Canada’s ‘Cyber and Sexual Violence: Helping Communities Respond’ Grant. The purpose of this project is to support young women and community partners in working together to develop and implement appropriate strategies that prevent and eliminate cyberviolence against young women and girls in Mississauga.